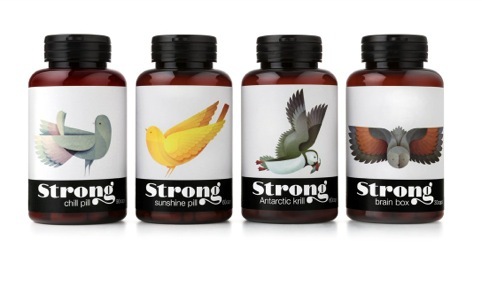 Pearlfisher has developed the branding and packaging for new nutrient brand Strong, based around a series of bird illustrations. The consultancy commissioned illustrator Andy Lyons to create a series of bird illustrations that would link to the benefits of the supplements. For example and owl is used for the ‘Brain Box’ pills and a bright yellow canary features on the ‘Sunshine Pill’ packaging. The brand name, meanwhile, is represented in hand-drawn typography. 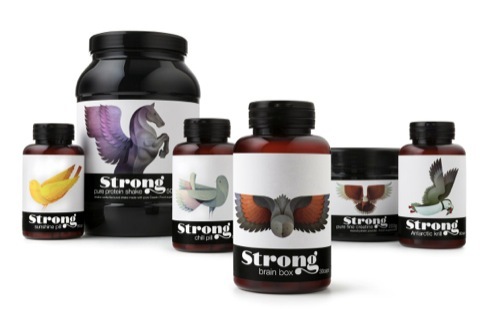 Strong is initially being sold exclusively through London members club The Library, before rolling out to high-end high street and online retailers. i am seeking a designer for a retail project, need to refine.